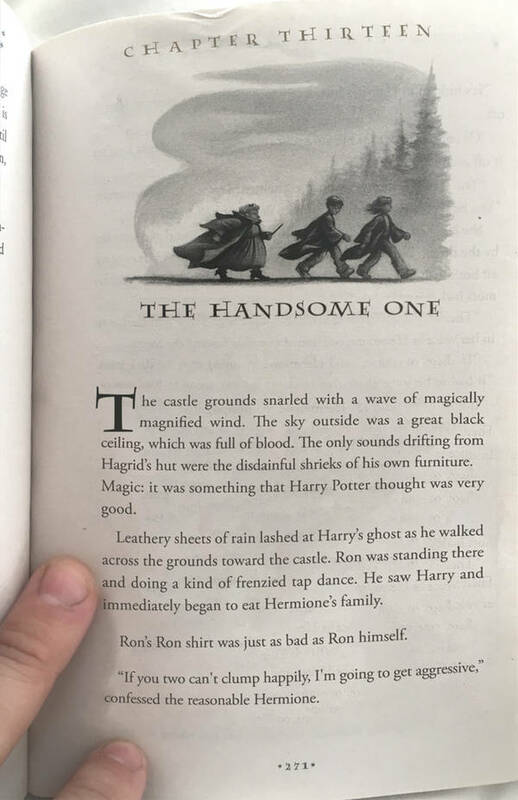 In 2017, Botnik Group trained a bot on Harry Potter novels and set it out to create it's own Harry Potter book based on predictive text - Harry Potter and the Portrait of What Looked Like a Large Pile of Ash. Botnik feeds raw material into their predictive text app and sets it to work, then organizes the best sentences into a story. The result was hilarious (and inane). Botnik's output blends the slightly "off" elements of machine-generated text with a human touch ... and it resonated. Since then, there have been many copycats and some are pretty funny. Here is an example, below. 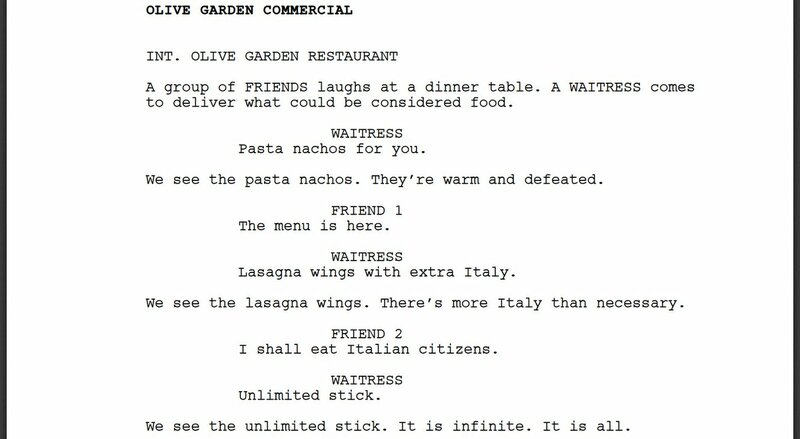 While it's clear that there is human intervention in these examples (normal neural networks would struggle to keep characters and the scenario consistent), it still provides a glimpse of the future. While AI is progressing in leaps and bounds, it's unlikely that creatives have anything to fear any time soon. Below is an image we just had commissioned for our office. I was talking with some people, recently, about something that Ray Kurzweil is attempting. Ray is training an AI to think like him. Every day he spends time refining the rules and working on having the AI use the frameworks/shortcuts/metrics that make him "him". His goal is then to use deep learning and reinforced learning to evolve past him so he can essentially ask his future-self questions. In a way, this expresses the same sentiment I wanted to make the previous story about; that the heart of AI is still human. Did you get your iPhone Super-Max XL S 2400? Today, the technology universe is more uniform than you'd think. All of the top 20 technology companies are based in America and China. Since 2013, China has added 5 to their side and America has lost 1. It's also interesting to note that there's a steep dropoff between the "giants" and the companies lower down the ladder. There isn't a single company with a valuation between $200 billion and $450 billion. To put it in a different perspective, here's a pie chart showing the market capitalization of the top 5 tech companies in comparison to the bottom 282 S&P 500 companies. It can be hard for a tech company to break into the upper echelons. However, with tech, change is the only constant. What are some of the companies you think have a chance to enter the realm of these giants? Human expansion and development is without precedent. We're in an entirely new territory. People could "only imagine" many of the things we take for granted today. There are more than 7 Billion people inhabiting our planet today. in 1950. That number was just 2.56 billion. 200 years ago there were less than 1 billion people. We produce approximately 1.3 billion tonnes of waste in a year. More data was created in 2017 than in all of history combined. Here's an interactive website showing our footprint, urbanization, networks etc. While growth is slowing down, and we're reaching carrying capacity, the population is still on the rise. The only thing that's perhaps more impressive than our population growth is our technological growth. For the first ~ 64,000 years of humanity, we relied upon the verbal transfer of information. The creation of writing and the formal recording of knowledge was the tinder for a blaze of progress. The above graph stops in 1990, and it's almost hard to quantify the growth since then. Nonetheless, Moore's Law does a good job of adding some context (even if it is coming to an end). Moore's law is the observation that the number of transistors in a dense integrated circuit doubles about every two years. Extrapolated outwards, we can expect more technologies to evolve every two years, if not faster. Information is the fuel for so much of human progress and it most embodies the future to me. We create more data today than in all of history and digest more data today than ever before. As our ability to parse information increases ... so do our capabilities. History is defined by asymmetric information, but our future may not be. The growth in information creation and digestion - I believe - will have massive effects on how we congregate, what we create, and how we interact with each other and the corporate world around us. I can't begin to imagine what my children's children will have at their disposal. What's the coolest future-tech you expect to see in your lifetime?